The personal development classic The Four Agreements by Don Miguel Ruiz might not be your idea of romantic reading before Valentine’s Day. But I’ve been revisiting this book lately and thinking about what each of the agreements can tell us about how to show up in marriage. Words matter, so choose them carefully. Words can tear down your relationship when you use them to criticize, complain and belittle. And they can build your bond when you express love and appreciation. Be especially careful about contempt. Speaking in a mean and disrespectful way with your spouse is the behavior most linked to eventual divorce. Remember that being truthful when you speak is important, but don’t be brutally honest because your words can still hurt. Ruiz writes: “Don’t take anything personally. Nothing others do is because of you. What others say and do is a projection of their own reality. Their own dream.” And that includes your husband. Like you, he is a separate person with his own perspective on life, shaped by his own experience. The more you believe that being married means you must see everything the same way, you more you will find yourself having conflict with your husband. Take time to consider the different ways the two of you approach life. The more you understand how your husband views the world and why, the less you will feel that what he does is directed at you. “Communicate with others as clearly as you can to avoid misunderstandings, sadness and drama,” Ruiz writes in The Four Agreements. This is a huge deal in marriage. Don’t assume that your husband knows what you need and want. He came into marriage with his own set of expectations and assumptions, and they may be very different from the ones you grew up with. Likewise, don’t assume that you know what’s going on with him or why he engages in a certain behavior. It’s more courageous and effective to get curious about him and ask questions that can bring you closer together. These are wise words for the different seasons of marriage. To expand on Ruiz’s words, doing your best will look different for newlyweds than it will for new parents. Sometimes it means being there for your partner in a crisis; sometimes it means celebrating him when things are going well. And sometimes it means allowing him to give more when you can’t. It all comes down to staying in tune with each other and showing up to the best of your ability. 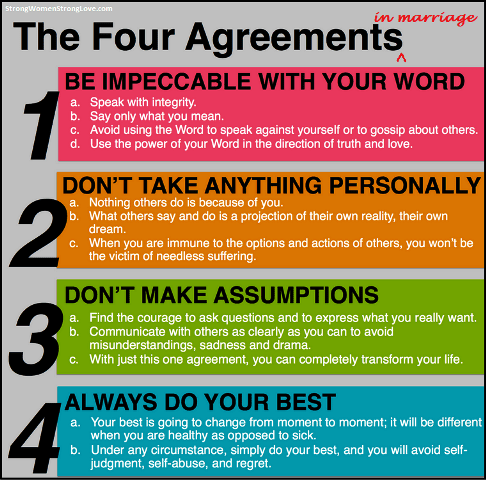 If it’s been a few years since you’ve thought about “The Four Agreements,” Valentine’s Day is a great time to reread your copy and consider its wisdom in the context of your marriage. And if you’ve never read this book, I highly recommend it. When you’re picking up a copy, consider adding my own book, Strong Women, Strong Love, to your purchase. 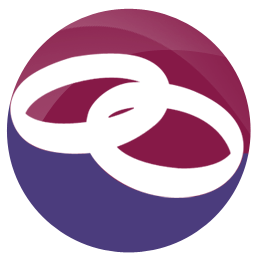 In it, you’ll find many more insights on marriage like the ones in this article.